“Oh look. Russell Simmons!” Local Projects founder, Jake Barton and I are gazing from the window of the 20th floor of 1 Liberty Plaza in downtown Manhattan. In theory, we are noting the hustle of activity down below, as ant people and Lego dumper trucks swarm around the former site of the World Trade Center. In reality, we have been distracted by the sight of a reality television crew running around on the roof of a nearby building to capture the latest exploits of the Def Jam hip hop mogul. It’s an odd juxtaposition, but one that somehow encapsulates the surreal nature of work on the 9/11 Memorial project, whose organisers are based here at Liberty Plaza, and whose employees are working flat out to ensure their plans are realised on time. It’s difficult to think of a project more fraught with raw emotion, shrill opinion, and conflicting interests for the citizens of New York. For the past ten years, the swirling development of a memorial fit to live in the footprint of the Twin Towers has provided the city, and the world, with an old-fashioned soap opera all its own. Barton and his team have been in the mix since 2007, when, together with New York agency Thinc Design, they won the commission to design the exhibits within the site’s museum. Creating a space that will educate and enlighten–but not overwhelm–visitors is a huge challenge. Even now, mere months before the museum opens in early 2012, many of the specifics are still not fully buttoned down. Installations include an electronic message board that visitors can tag with their responses to the events of that fateful day, while a photographic installation comprises historical news images taken by and collected from the public. 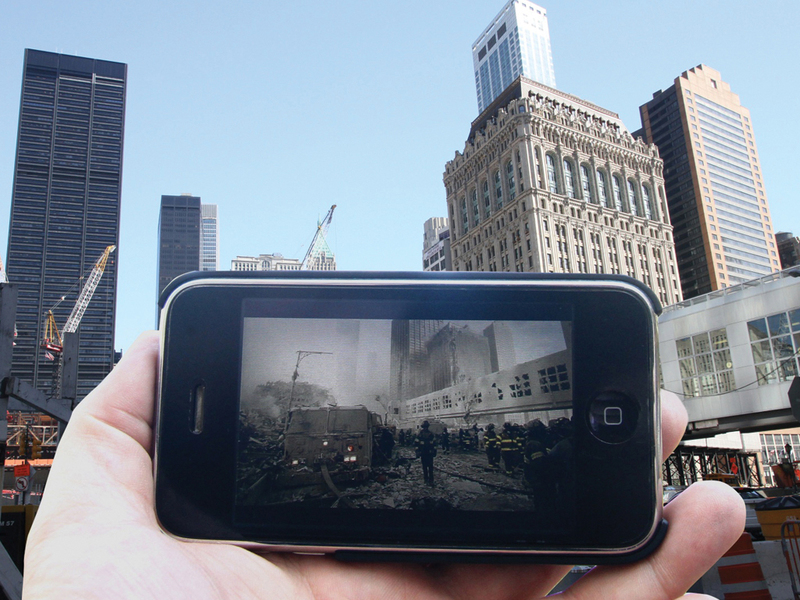 For Timescapes, Local Projects has developed a software algorithm that presents current news events through the lens of September 11, thereby ensuring that the museum has a way to respond to its own ever-evolving story. The pieces are emblematic of Barton’s approach to museum design, which eschews the old-school approach of expert curator bequeathing nuggets of knowledge to wide-eyed, grateful visitor. Curators are still necessary, but here they are enablers rather than dictators of experience. “I have always been interested in collages and the ways groups of people can tell stories,” he says when we meet once more a few weeks later, this time at his own company HQ in the equally bustling but arguably less celebrity-filled neighbourhood of New York’s Port Authority bus station. There’s more, oh so much more, but head over to read the rest (and look at the images) at Creative Review’s site, as they’ve kindly released the feature from behind the paywall. Hurrah!